A small bird, with a long tail and finely pointed bill, chestnut mantle and wing covets, blackish wings and tail feathers fringed white. Underparts are ochre to buff-white. 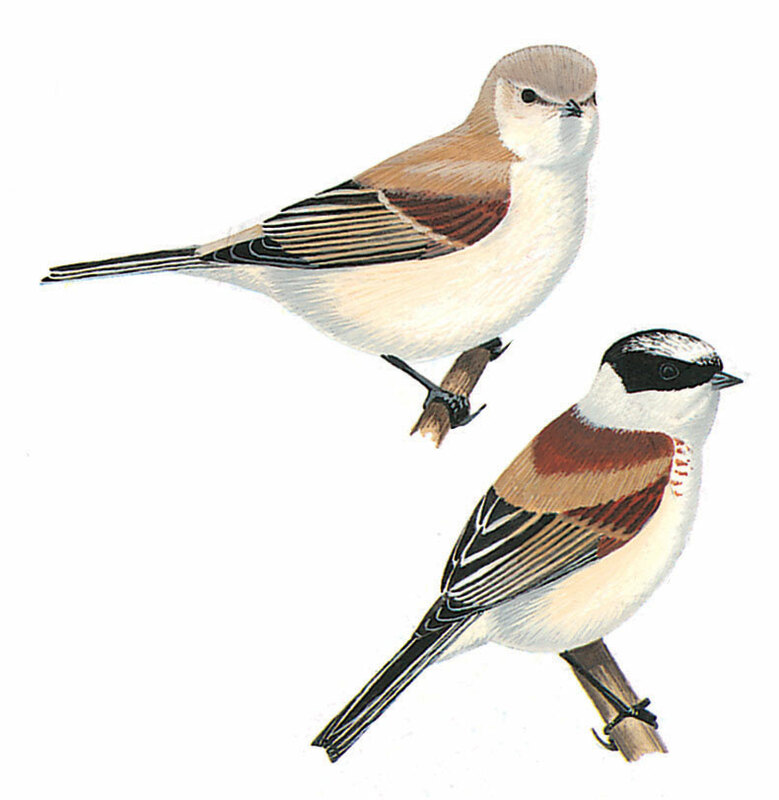 Adult has black mask contrasting with pale grey crown and nape and white throat. Female is duller with smaller mask.